Plumbing problems are frustrating for anyone, but what’s even more frustrating is when you cannot find the right plumber to get the problem fixed. They charge too much, they turn up late, they are not reliable – it’s enough to drive you mad. 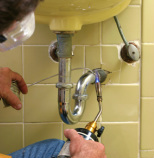 If you have a plumbing or heating issue that needs fixing, you don’t want to wait around. That’s why you should call us at Hackney plumbing services. All of our plumbers and heating engineers are fully trained and qualified and we’ll get the job done for you in good time. And we take customer satisfaction very seriously, so you can count on us to provide you with the service you’ve been looking for. Give us a call today and find out for yourself! We specialise in plumbing and drainage issues and can help you out with any problem you are experiencing in this area. Even for a small job like a leaking tap, we will be happy to fix it and we won’t charge the earth. For larger problems, we can also be relied upon to provide a professional service, so whether you are looking for piping, fixtures, backflow devices, drain lines, faucets, drainage or any other service, we’ve got it covered. And any other type of boiler! Repairs, installations, maintenance – you name it, we can do it. 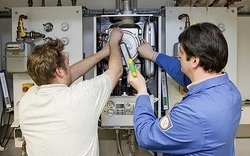 Do you need a new central heating system installed? Our Gas Safe Registered engineers will help you out with any task and will be there when you need them!